This is our collection of 3-D notebooking templates. These notebooking pages make for quick, easy, and fun 3-dimensional notebooking, any time . . . for any subject. We’re not much of a lapbooking family, but we do like to add some “flair” to our pages every once in a while. We have been using these templates for several years. They work great for all ages. Most of the mini-book pages include light gray cutting lines to make it a snap to cut with a cutting board. I wanted these to be EASY and QUICK to implement for both my girls AND boys and that’s exactly what they are! 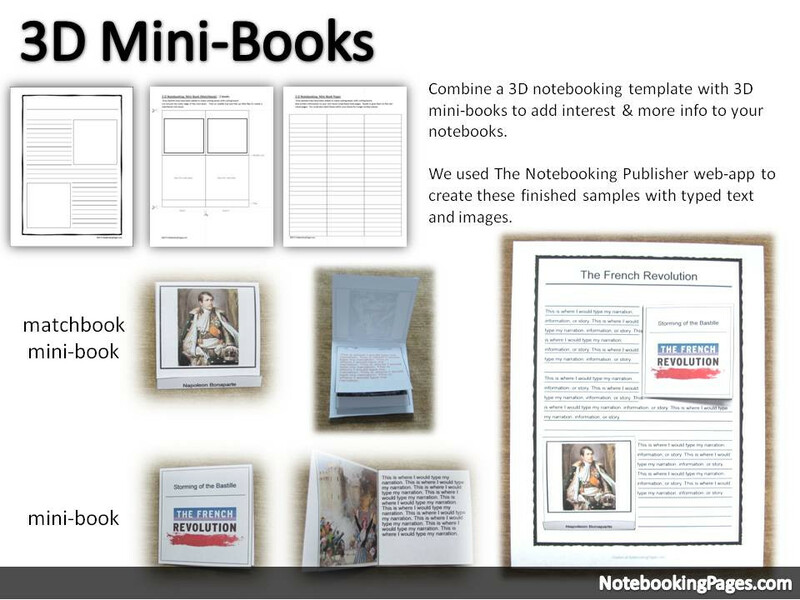 You can use our lined notebooking templates and mini-books together or use them separately or use the mini-books on your own notebooking pages. Lots of versatility! These notebooking pages come in three different types of borders … colored, decorative/patterns, and fancy. Each set has 20 pages options including both regular and primary-lined pages as well as blank border-only pages. The frames within these pages are specially sized to fit our mini-books. 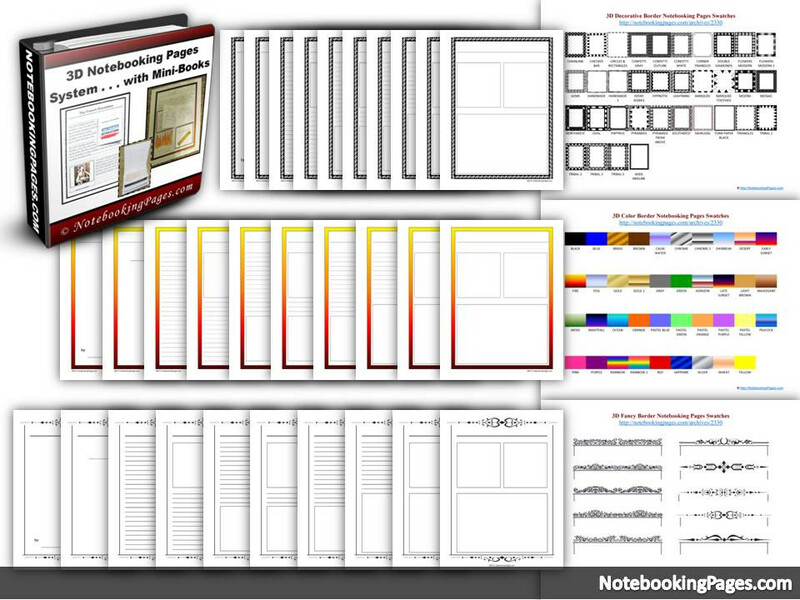 (1) Pick your color or border style from the large selection of lined template pages. (2) Print the page(s) you want. There are both regular and primary-lined options. There are a variety of layouts. (3) Then, add 3-D mini-books (if you want!) that fit on the pages. 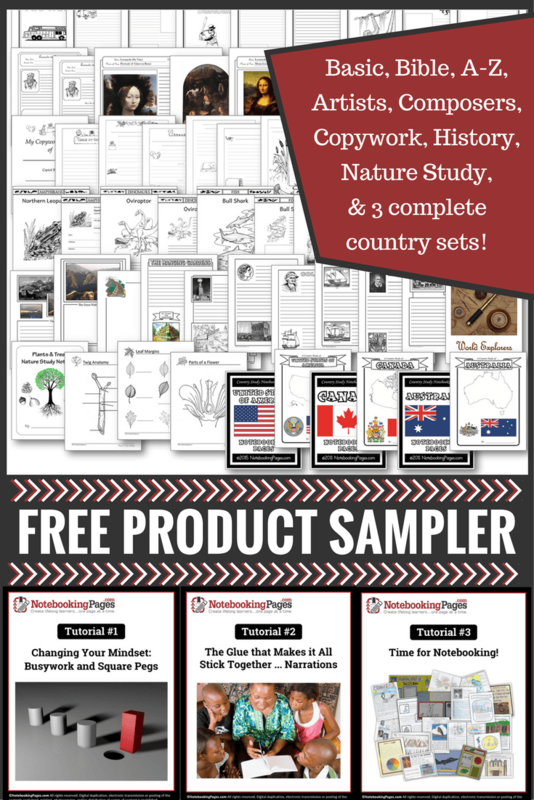 It’s SO easy to mix and match lined templates with mini-books. 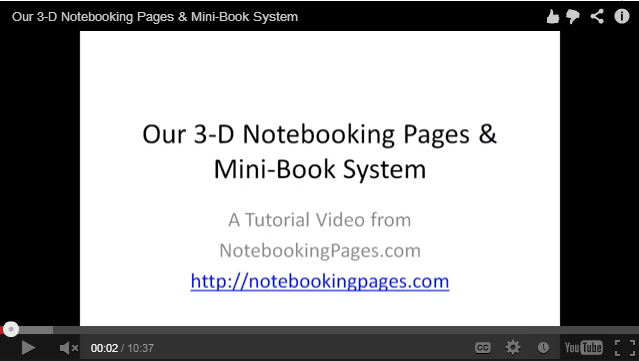 The mini-books can be used on their own or added to any of our 3D styled notebooking pages . . . with the bordered pages above or those found in various categories like A-Z, history, and science.